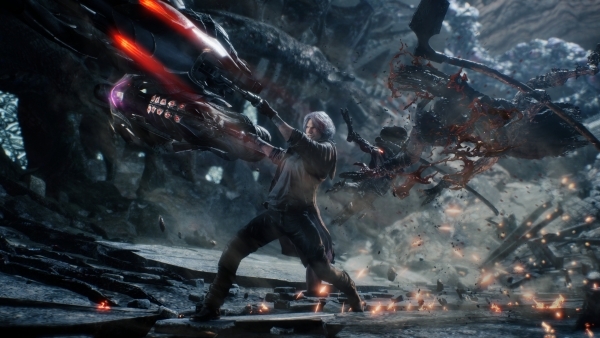 Capcom has released a new trailer for Devil May Cry 5 that showcased gameplay and its confirmed release date of March 8, 2019. The new visuals demonstrate Nero’s mechanical arms “Devil Breakers” ability plus the hack and slash aspects the game is popularly known for. The Devil Breakers, crafted by Nero’s ally Nico, grant the demon slayer some sweet special powers. There are eight different Devil Breaker arms in total, including the Overture: an electrified arm that shocks enemies, and the Gerbera: the ability to generate and shoot heat in a shockwave.